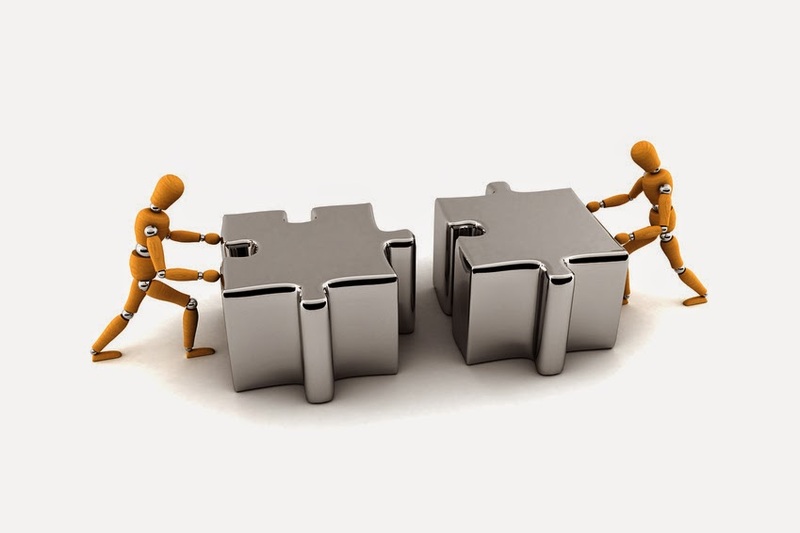 The second in our series of programs that work well with Ancesral Quest is AniMap 3.0.2 which is by The Goldbug. Maps are critical tools for anyone researching their ancestors. AniMap shows an animated map of each of the 48 contiguous states. Each state map contains county boundary changes from colonial times to the present. One can use their SiteFinder to locate hundreds of thousands of cities, cemeteries or historical sites, then plot them on the appropriate state maps of AniMap. One can also choose a year to see which county that site was located at that time. Once you know this you'll know the correct location for those county records or a repository to find information on your ancestor. Their website, http://www.goldbug.com provides additional information along with two wonder videos to show how valuable this software is to your research. 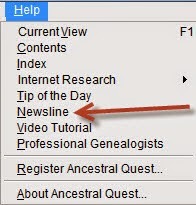 The first one is from GenealogyWise and the second one is a video showing how to export and locate images. This product is completely compatible with Ancestral Quest. To learn more about this product click here. To order this product click here. 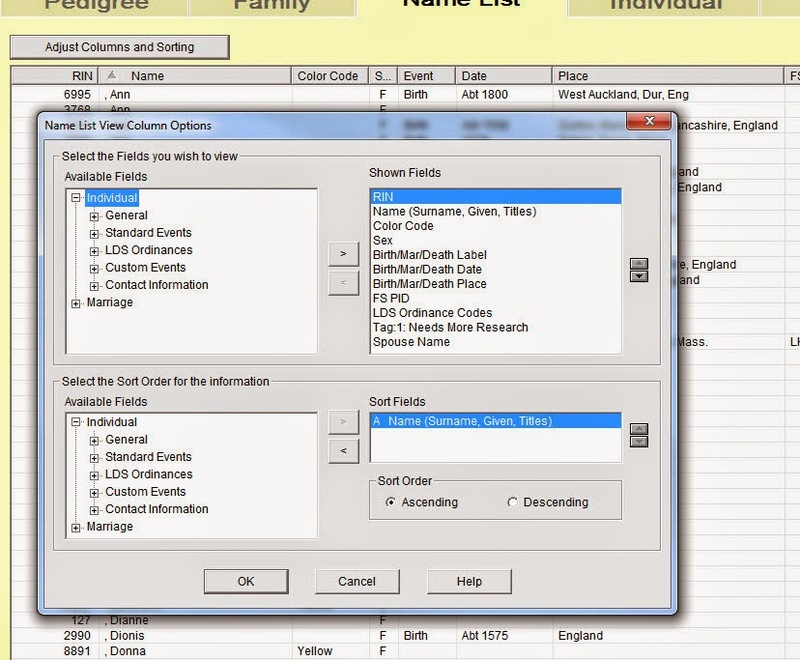 Most genealogical programs have other software programs that work well with them to provide a customer something beneficial to them. Ancestral Quest has several products that work well with it to provide additional resources to its users. While Ancestral Quest does have many charts to choose from within its own program, Charting Companion has additional charts not available through Ancestral Quest. Supplementing your charting capabilities is a great idea. You can add Bow-Tie Charts, Hourglass Charts, Trellis Charts, Embroidery and more. 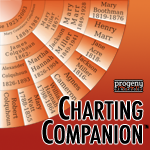 Here is a link to samples of charts possible through Charting Companion. This program is completely compatible with Ancestral Quest Versions 3.0 through 14. To learn more about this software click here. 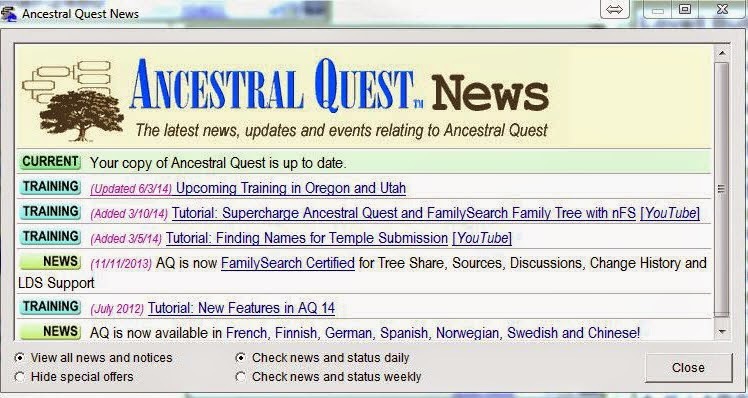 When it comes to finding out what the latest is concering Ancestral Quest, with just a few clicks one can easily discover all the happenings! 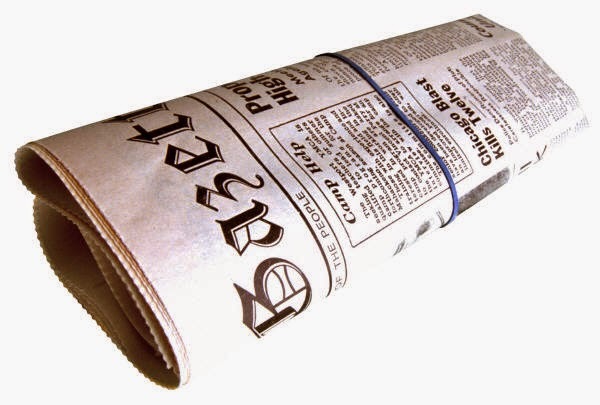 Notice that one can choose to view the news and notices, hide them, check the news daily or weekly. By checking these radial bullets, one can keep up to date not only with the program updates but also learn about the latest trainings and other important news items. Additionally, AQ now has a monthly newsletter that is emailed to everyone. The June issue just came out this week, if you missed it the link to it is here. Some things get confusing once in awhile and adjusting those columns under the Name List can be a little difficult if you are not used to manipulating items within Ancestral Quest. Notice there are 4 windows. 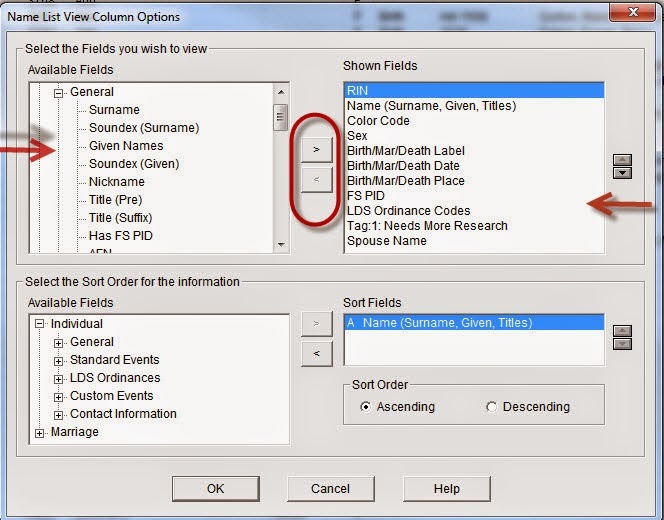 The top left window has the available fields or "Column Headers", the section in the middle has 'greater than arrow' to move items from the right column to the left column and there is a 'less than arrow' that removes fields you don't want any longer. The highlighted item is also displayed in the bottom right where you are told how it will be sorted. 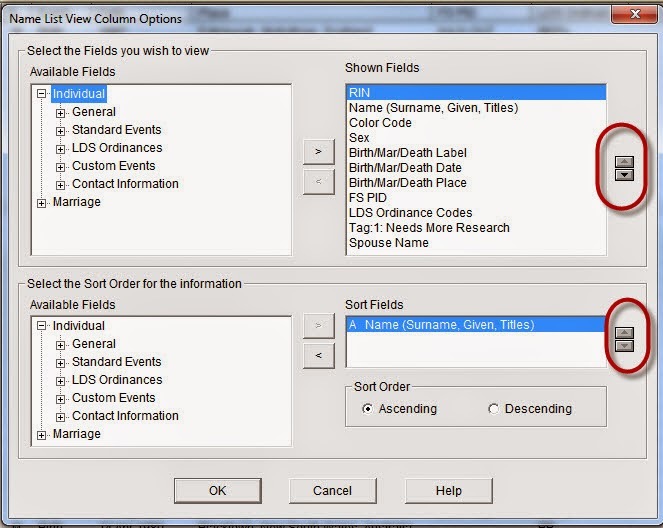 The arrows give you the opportunity to re-order the way they appear in your family file. Once done you click OK. If you are satisfied than you are all set, if not, go back and re-order as you wish.